Music composed by Lucas Vidal. The inside story of the planning, execution, rousing aftermath and ultimate downfall of the kidnappers of beer tycoon Alfred ‘Freddy’ Heineken, which resulted in the largest ransom ever paid for an individual. 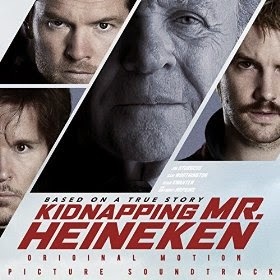 The movie soundtrack of Kidnapping Mr. Heineken will be released on March 6, 2015 by Metropolis Movie Music.